Some of the early varieties of peaches are already showing up in the local farm stands. 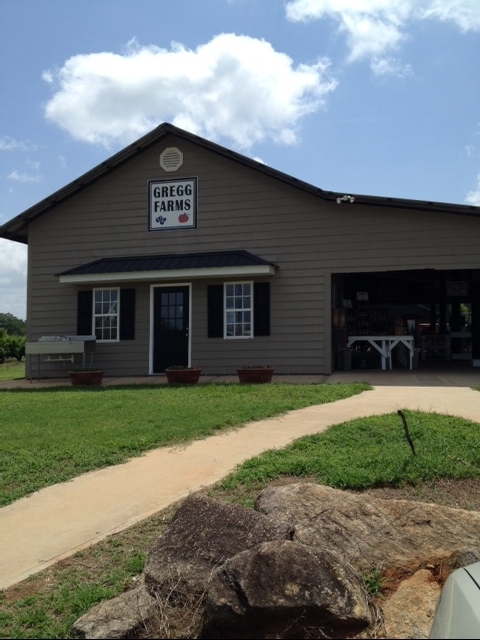 My favorite place to go around here is Gregg Farms in Concord, GA. In addition to many varieties of peaches, they sell u-pick blueberries and blackberries. 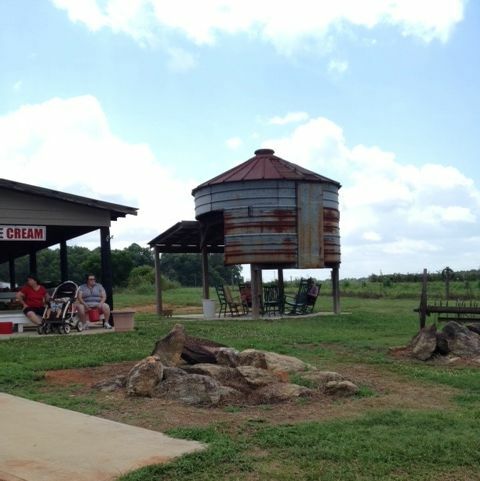 The best part of the farm is their soft serve peach ice cream. You can eat it under this grain tower (or whatever it’s called) in their rocking chairs. I make lots of recipes with their peaches during the summer. 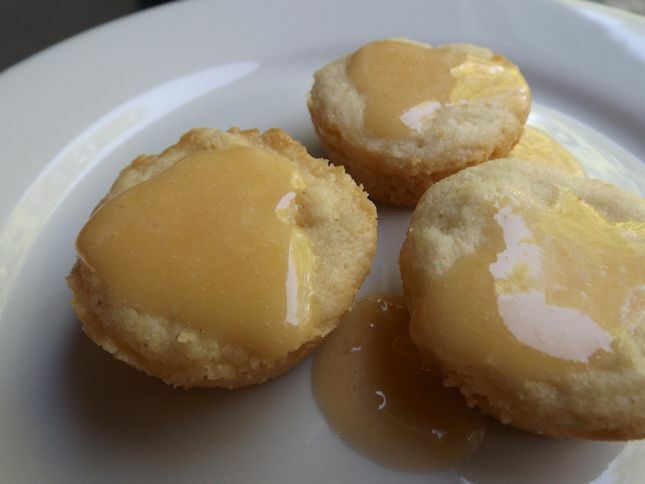 Today I started my day with a blueberry peach smoothie and ended the day with these Ginger Peach Shortbread Cookies. Very delicate but very supremely divinely wonderful. Preheat oven to 350 degrees. 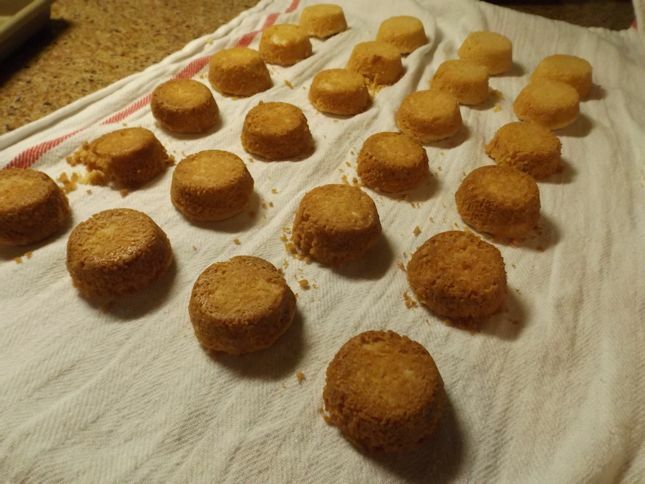 Grease a tin of 24 mini muffins. 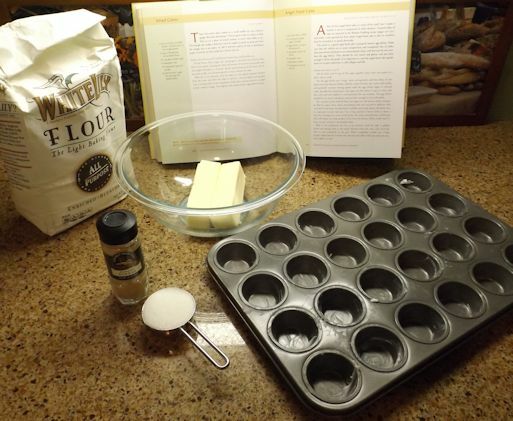 Using a mixer, blend the butter, flour sugar, salt and ginger until well mixed, about 5-7 minutes on low speed. 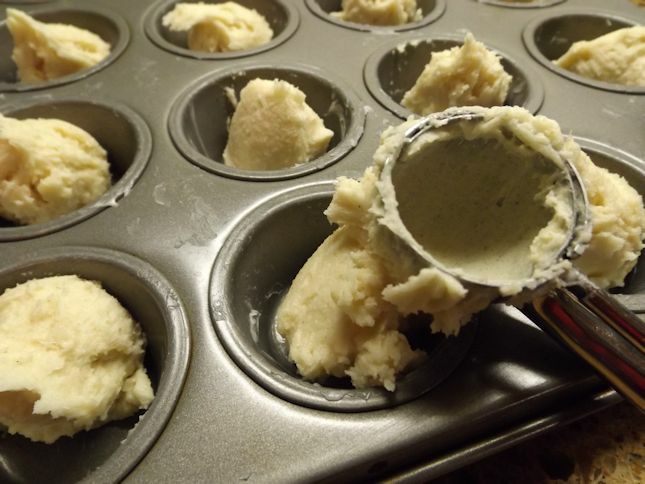 Spoon the dough into the muffin tins. Press down slightly to flatten top. Bake 15-20 minutes until the cookies are lightly browned. Remove from oven and allow to cool for 5 minutes. Remove from pan onto a wire rack to cool. Frost with peach glaze. Peel and pit the peach. Place peach flesh with powdered sugar in a blender and puree peach with the sugar. Add more powdered sugar to desired thickness. Pour on top of cookies. I used a mini scoop to put the dough in the pans evenly. To get the cookies out without breaking, I put a clean linen dish towel over the top of the them and inverted the pan holding the dish cloth tightly over the cookies. Then, the cookies tapped right out onto the dish towel. 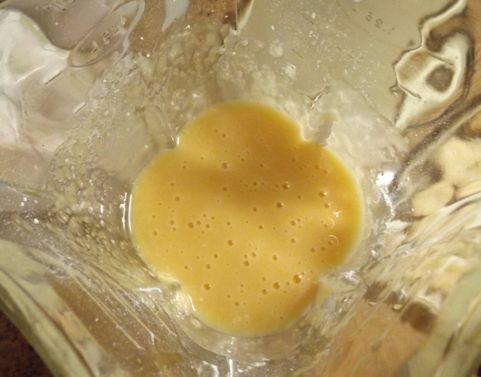 Here is the inside of my blender with the delicious peach glaze. 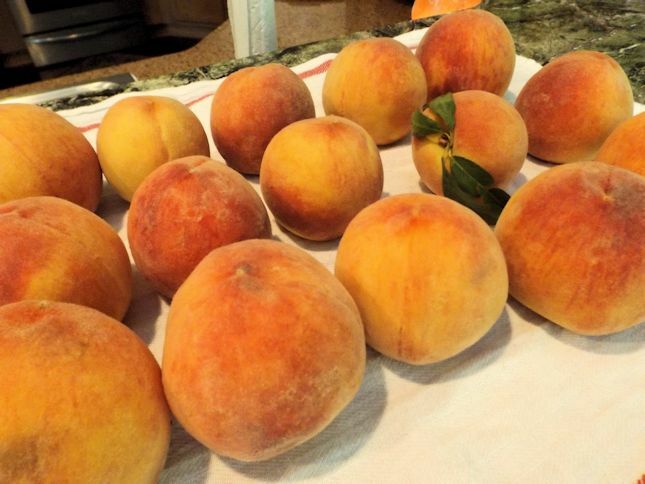 I’m looking forward to a summer of peaches and lots of new recipes to try.